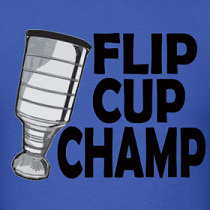 Dirty Dangle Hockey: We're Going Streaking! 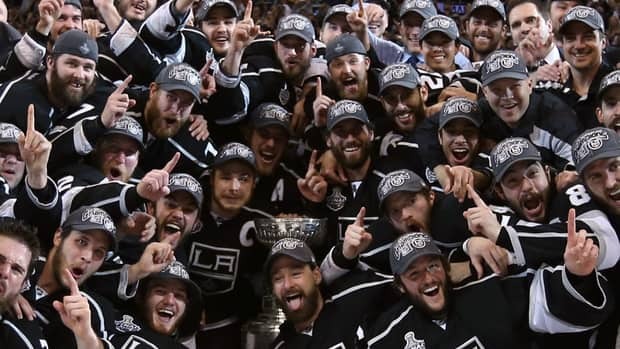 Last year when the Los Angeles Kings won the Stanley Cup as the #8 seed and knocked out all the Western Conference division winners they turned a lot of heads. The Kings weren't a true #8 seed though and really shouldn't have surprised anyone with their late-season play. They heated up down the stretch and were one of the best teams in the league as the playoffs got underway. Going 16-3 in the Stanley Cup playoffs as a #8 seed was no fluke, they were a great team during the regular season that under performed. It's always a good thing to be on nice streak going into the playoffs and this season there are plenty of teams that could remind us of the 2012 LA Kings. With that said, let's take a look at some of the teams that are streaking into the playoffs. Pre-season favourites, the Pittsburgh Penguins have dominated the East this year with a 36-12-0 record. Since the month of March, the Penguins have gone 23-4-0 which included a 15-game winning streak in that stretch. Throughout the season they've battled injuries, but their depth have kept them going strong. With a healthy roster entering the playoffs they should be the favourites to win the East. On March 1st, the Capitals were in the basement of the East and ranked 29th overall in the league with a 7-11-1 record. Since then they've gone 20-7-2 to win the Southeast Division and earn home ice advantage for the playoffs. In that span they've scored 3.24 goals/game and have scored 4 goals or more in a game 14 times. Ovechkin got his groove back in the regular season and was one of the most dominant players down the stretch, which makes the Capitals a pretty scary team in May. The Isles sat outside the playoffs for most of the regular season before making a strong push in late March to go 11-2-4 and finish 6th in the Eastern Conference. They may not be the scariest team on paper, but they're got the job done and anything can happen in the playoffs. Nabokov has held down the fort in net which is odd for an Islanders goaltender, and John Tavares has earned the right to have his name mentioned in Hart Trophy talks with his 28 goals and 47 points. The Isles will be in tough against the Penguins, but they've definitely earned the right to be invited to the dance with their late season play. The Rangers started the month of April in 8th place with 6 teams still in the hunt on their heels. They hadn't met any expectations for the season with their star-studded lineup and many non-Rangers fans were loving their demise. Well, they went on a 10-3-1 tear that saw them score 3.64 goals/game and finish 6th in the East to set up a date with the Caps to open the playoffs. The Rangers can be dangerous, but you'll know when they're slumping by the number of John Tortorella f-bombs. The Hawks have been streaking all season including their 21-0-3 streak to start the season. Finishing with league best record of 36-7-5, the Hawks didn't let up down the stretch and finished strong with an 11-2-2 record. The Hawks are so dominant and have so much depth that it doesn't even matter what goalie they start; they still have a solid chance of winning. Let's be honest, nobody wants to play this team in the playoffs. On April 1st the St. Louis Blues were sitting 9th in the West after dropping their 3rd straight game as the club appeared to be spiraling out of the playoff picture. To make things worse, Jaroslav Halak also went down with injury and the load shifted to the shaky Brian Elliott who was not repeating his 1.56 GAA and .940% last season. Well, that changed and the Blues went 12-3-0 down the stretch and Elliott stood on his head allowing only 16 goals in the 13 games he played this month. While the Blues are stingy defensively, they'll need to be consistent offensively these playoffs if they want to go far.